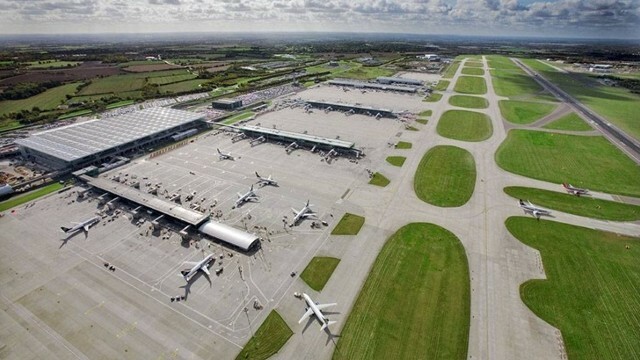 London Stansted Airport is in close proximity to London being located just to the north of Englands capital city. Stansted is also one of the UK’s busiest destinations so when flying here it’s a must that you fly privately because of the vast number of people there and crowded conditions because of the large number of commercial airline flights, with us we promise that you will have a private handling team to take care of you and guarantee that you avoid delays, lines and waiting around as you are transported swiftly through the airport whether you are arriving or departing, so flying with us is essential to you having an enjoyable journey that you can sit back and relax on without the stress of worrying about the airport transfer. Stansted offers fast transfers to London and Cambridge with the airport being just 53 and 39 minutes away from each respectively, Offering easy access to both locations. It is also one of the closest places to land within the area of London to reach the capital, The UK’s largest stadium Wembley is also easy to transport to being 50 minutes away offering great transport to sporting events as well as many London football stadiums in the area such as Arsenal, Chelsea & Tottenham. This destination is perfect for visits to London for whatever reason, Sporting events, concerts and even business trips in the area, we have all the means to suit your needs. London Stansted Airport is the ideal airport for private jet hire located at Stansted in the district of Uttlesford in Essex, 48 km northeast of Central London and 1.5 km from the Hertfordshire border.